We are excited to feature Ram Jagadeesan and Hyperledger founding and Premier Member CISCO in this month’s Hyperledger community spotlight. Ram is a Distinguished Engineer and CTO of Blockchain Incubation at CISCO’s Chief Strategy office, and he serves on the Hyperledger Governing Board. 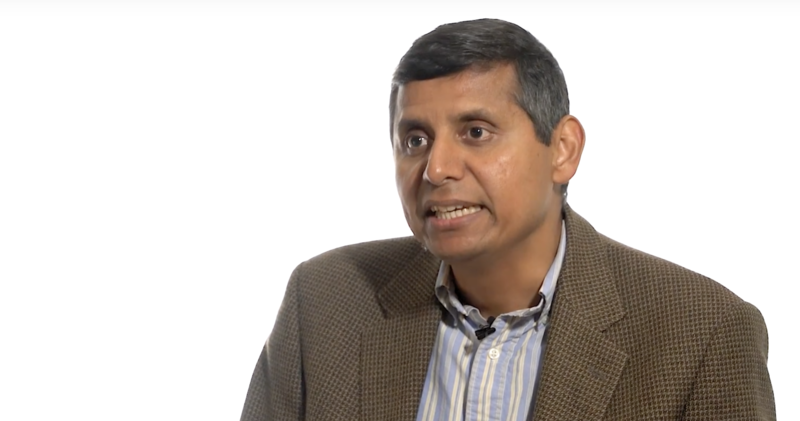 A highly-regarded contributor to open standards and open source implementation, Ram was a founder and board member of Open Interconnect Consortium, where he drove IoT interoperability. CISCO joined Hyperledger because they are firm believers in open source, open standards and interoperability. In this video, filmed at Hyperledger Member Summit in Singapore, Ram shares his thoughts on the impact of blockchain across industry verticals, how the technology is being used today compared with its future potential, and how to fast-track blockchain technology adoption. Since it’s inception, Ram has chaired the Hyperledger Architecture Working Group (AWG), where he is a proponent of modern architecture framework for enterprise-class blockchain. The AWG serves as a cross project forum for architects and technologists from the Hyperledger community to exchange ideas and explore alternate architectural options, discuss the tradeoffs, and capture the reasoning behind the choices. The AWG provides recommendations and architectural guidance to the projects in the Hyperledger greenhouse and encourage them towards convergence on a modular architecture. All are welcome to join the biweekly AWG calls on Wednesdays at 9 a.m. PST. Check out previous meeting minutes, dial-in details and publications collaboratively written by the AWG on the Wiki here.